Critics are by and large on board with _Annihilation_. Audiences however have been more split. Even the people I know personally are coming out strongly either for or against it. Normally, those are the kind of movies that I find myself feeling in the middle about. You know, the movies that people say "You either love it or you hate it, there is no middle ground!"? Yeah, those are the sort of thing I almost always end up giving a five or six out of ten. But with this one? I fall very, very firmly on the side in favour of _Annihilation_. I did **love** it. Aesthetics is a big part of that, I'm not gonna lie. I'm also digging the chimeric creature design I've seen on Netflix so far this year (in both this and _The Ritual_). But the philosophical stuff is what really does it for me. 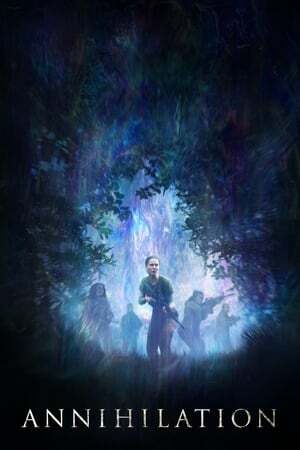 Annihilation approaches its context in a completely original way, and I for one feel richer for having seen it.